A buzzkill nonetheless, I totally agree that this is a pantry recipe that makes use of ingredients I always have on hand. 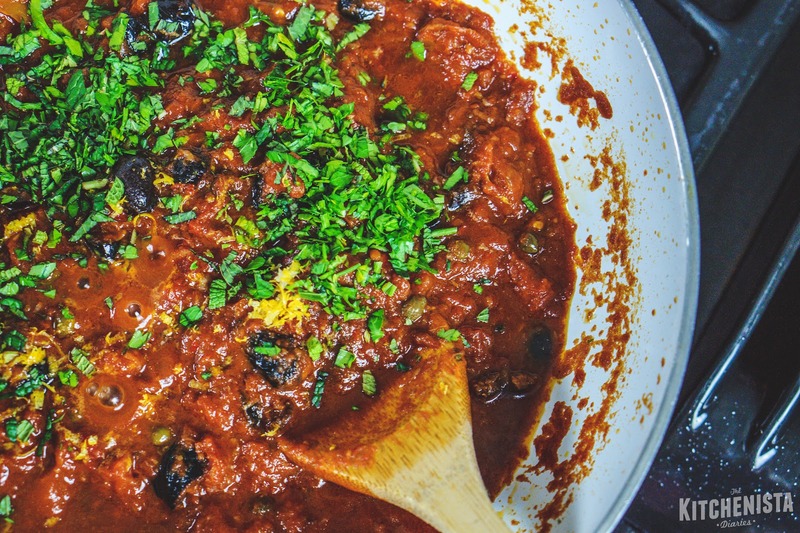 Canned tomatoes are perfect for puttanesca, making it a winner in the winter. San Marzano tomatoes are ideal, but I've used any can or carton of tomatoes that I had. 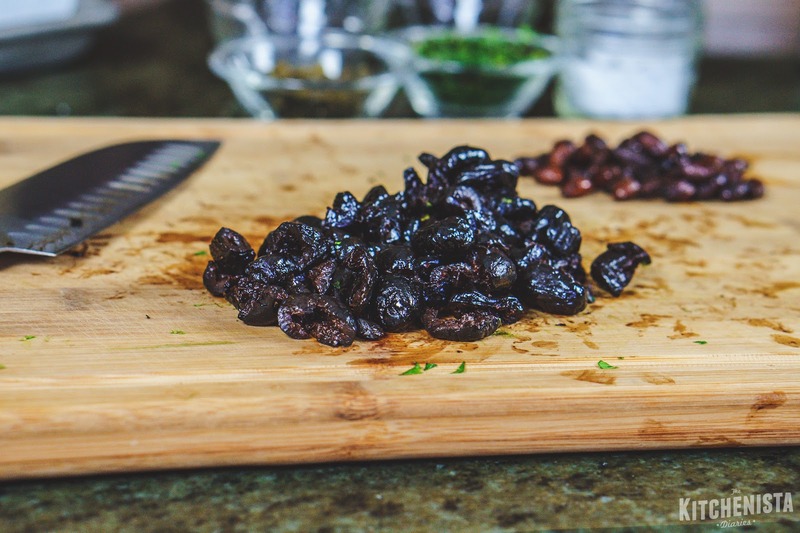 Use oil cured black olives for the best flavor and natural saltiness. It's a little more work to remove the pits, but using milder pitted black or kalamata olives isn't what you want here. And don't be scared by the anchovies. A full tin packs a punch, but it dissolves into the sauce, injecting it with tons of umami. Capers add brininess, pepper flakes provide heat, and of course you're gonna throw in lots of garlic and good olive oil. 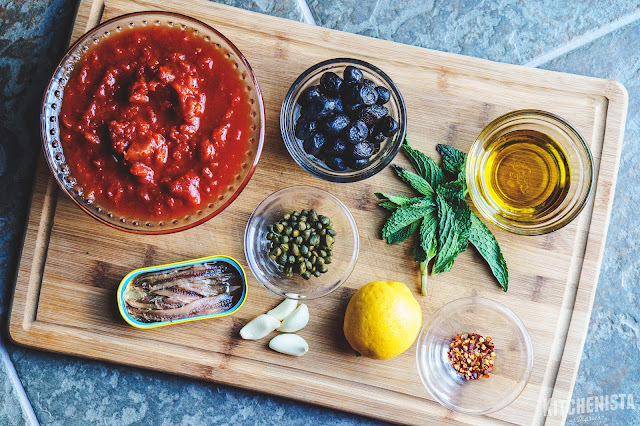 Lemon and fresh mint aren't traditional or essential to puttanesca, but they definitely brighten up this spicy pungent sauce. It's a fun exercise in pushing flavors just to the brink of being too much. There's practically no prep work here and the ingredients get thrown together rather quickly. Once the sauce is simmering, you're all set to boil some pasta or prepare your protein. 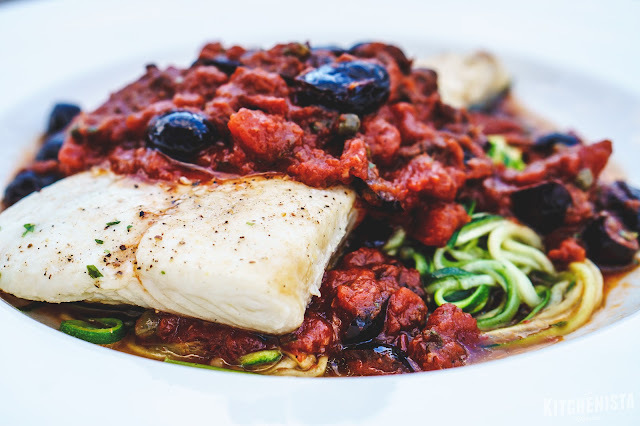 I'm happy to report that I am back on #Whole30 these days, so I went with zucchini noodles and broiled halibut this time. When I'm able to eat pasta, my go to is dried angel hair or spaghetti! 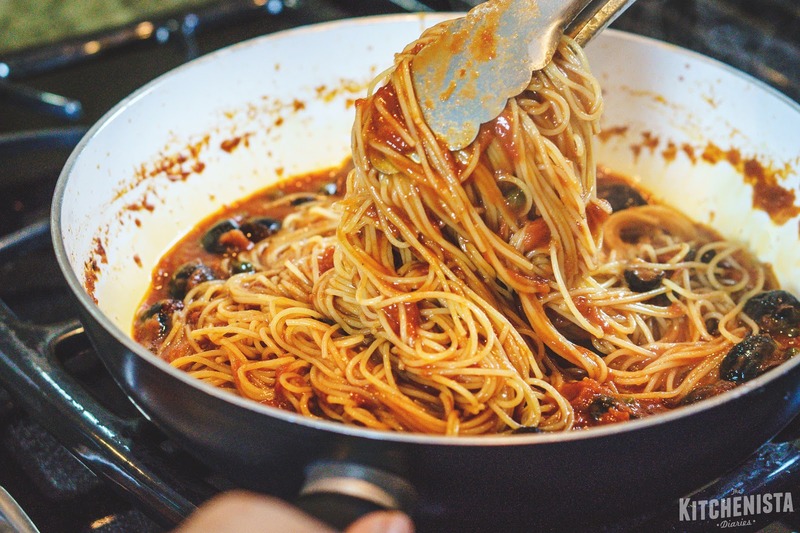 If you're using the sauce for pasta, cook it al dente and toss the noodles with the simmered sauce before serving. Resist the urge to cover your plate with parmesan cheese though. You've got enough going on here! 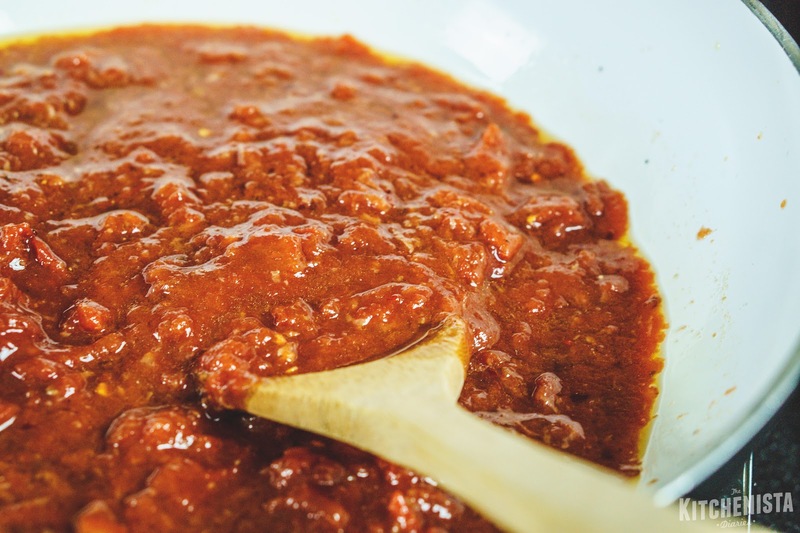 This is an easy sauce but it's one you should get familiar with because of its versatility. I've used puttanesca sauce for everything from shrimp to grilled eggplant. Next time you're stumped with what to cook for dinner, head to your pantry and prepare to be amazed. You should gather and prep your ingredients before beginning as this will move fairly quickly. 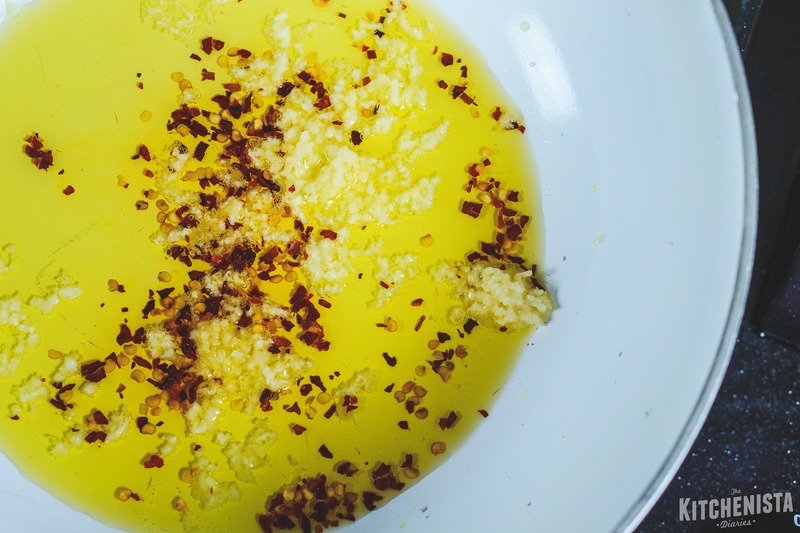 Add your olive oil, grated garlic and crushed red pepper to the pan over medium low heat. The garlic should just barely sizzle, so as not to burn it. Let that warm for a minute to infuse the oil with flavor. 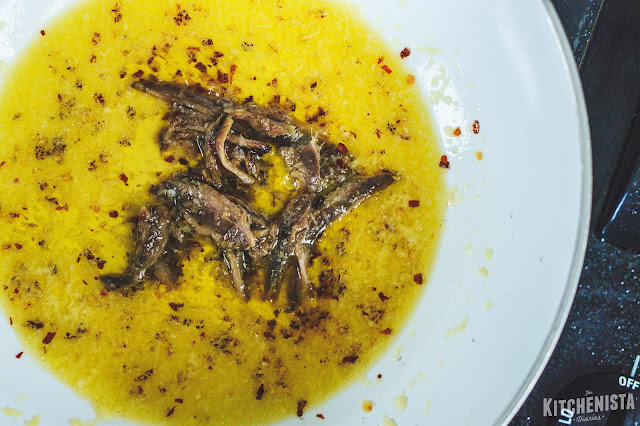 Add the anchovies, breaking them up with your wooden spoon. 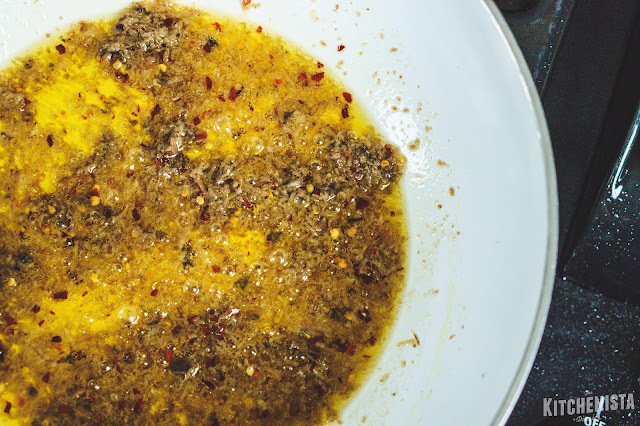 The anchovies will quickly dissolve into the oil, that's what you want. I have actually made quick pastas with just this right here! Add the tomatoes, stirring them into the oil. Increase heat to medium. Don't forget to remove the pits from your olives. To do that, simply squeeze them between your fingers. The pit will pop out. You can then roughly chop the olives. It's a little messy. Add the chopped olives and capers to the tomato sauce. Season with a pinch of salt and black pepper. 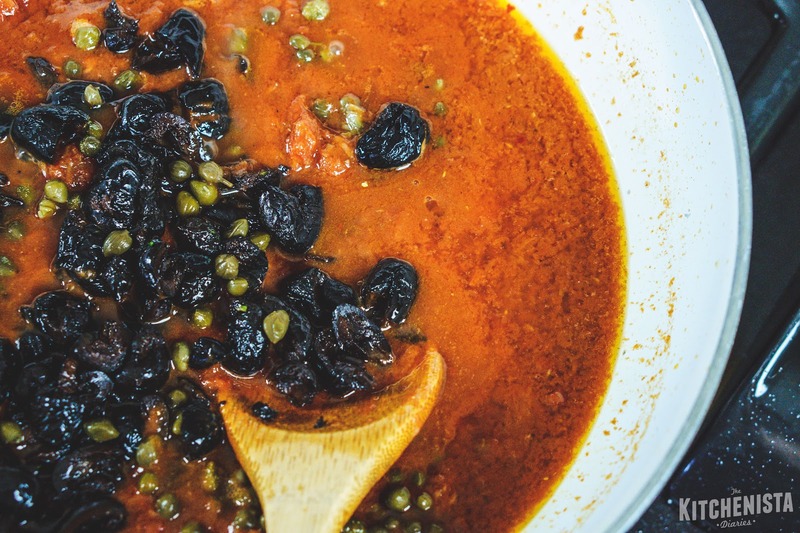 I go really easy on salt because of the olives; it's easier to add a little later than ending up with a sauce that's too salty. 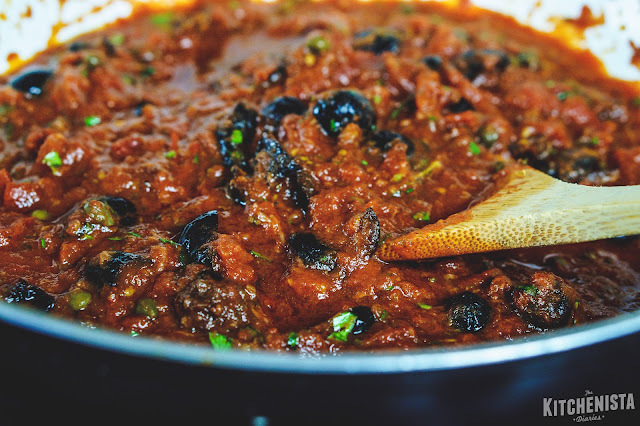 Allow the sauce to simmer gently, uncovered for at least 20 minutes to thicken. Hint: a splatter screen is great for preventing messes when you don't want a covered pot. Just before you're ready to serve, stir in the lemon zest and herbs, if you're using any. I really love fresh mint and olives together, so that's what I go with if I have any. Ready to use for whatever you can dream up! 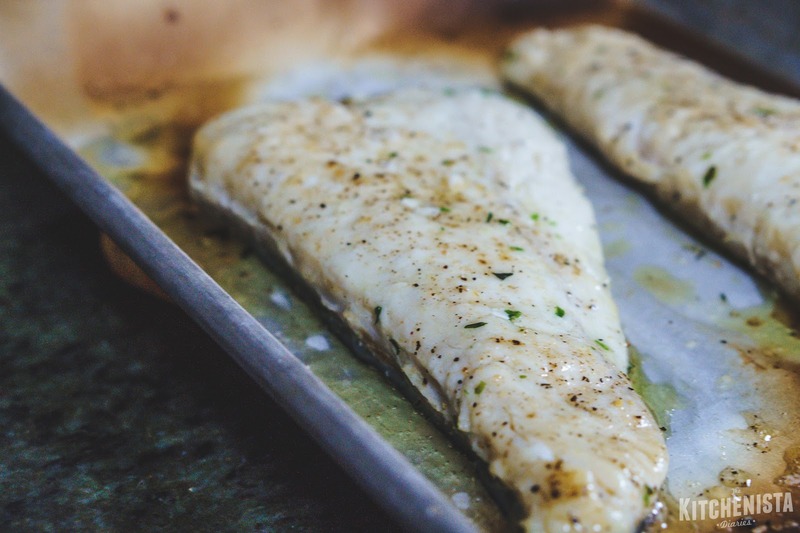 To make the dish featured in the photo, I broiled haddock filets on the top rack of my oven while the sauce simmered. They were drizzled with garlic thyme basting oil and seasoned w/ salt and pepper. Any firm, meaty fish is great for puttanesca. Swordfish is probably my favorite. 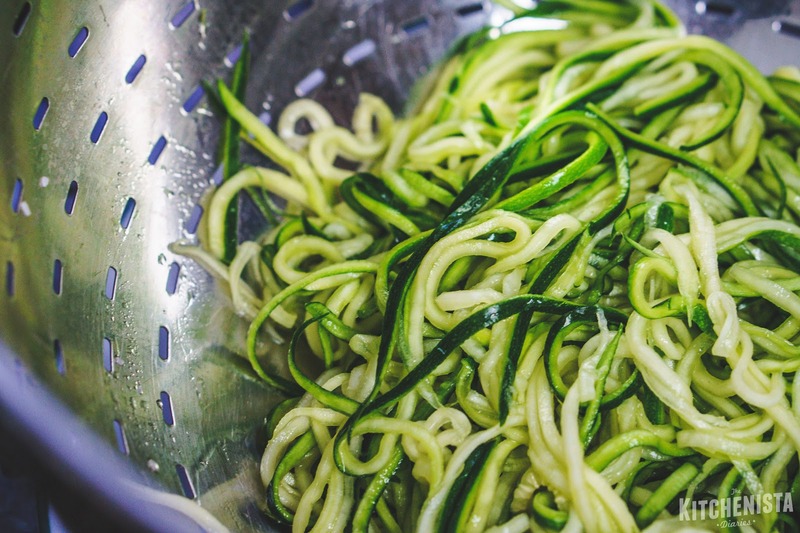 The zucchini noodles were lightly salted about an hour before I started cooking and sat in a colander to drain. 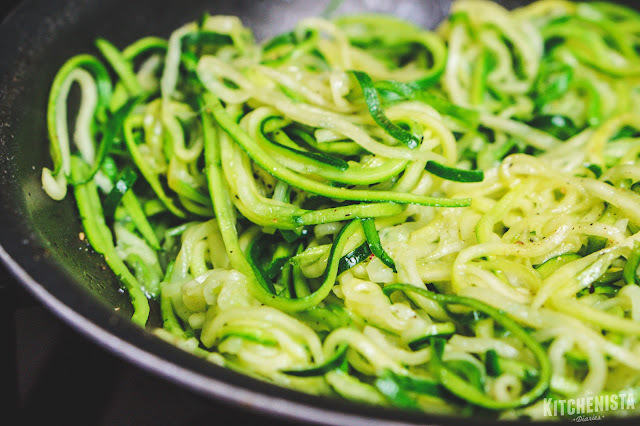 Zucchini has so much water that all seeps out when you cook it, so I like to take that step if I'm serving it with a sauce. Just before using the noodles I squeezed out excess water with a towel. I then sauteed the noodles in a little olive oil. They just take a minute to warm up. 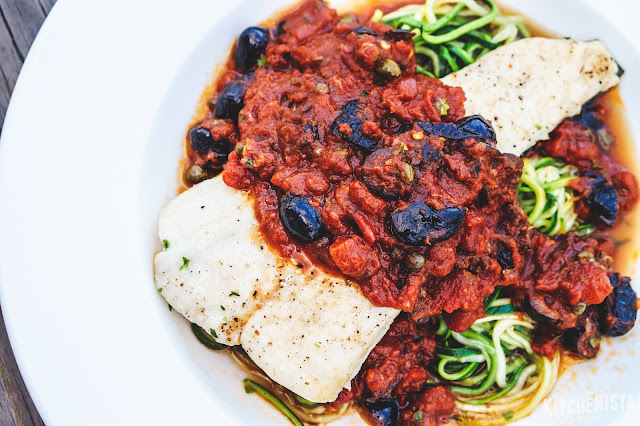 I plated the zucchini noodles, my fish, then topped it all off with a generous amount of puttanesca sauce. It was a filling dinner and a nice way to start off another #Whole30 adventure. So glad I found you're blog. In my mind I am a professional chef, but in reality, I'm a total disaster in the kitchen. I love trying new recipes and I look forward to thawing out some tomatoes from last years harvest and trying this sauce. she used green olives as well as the black. This was wonderful! This is so good and so easy. 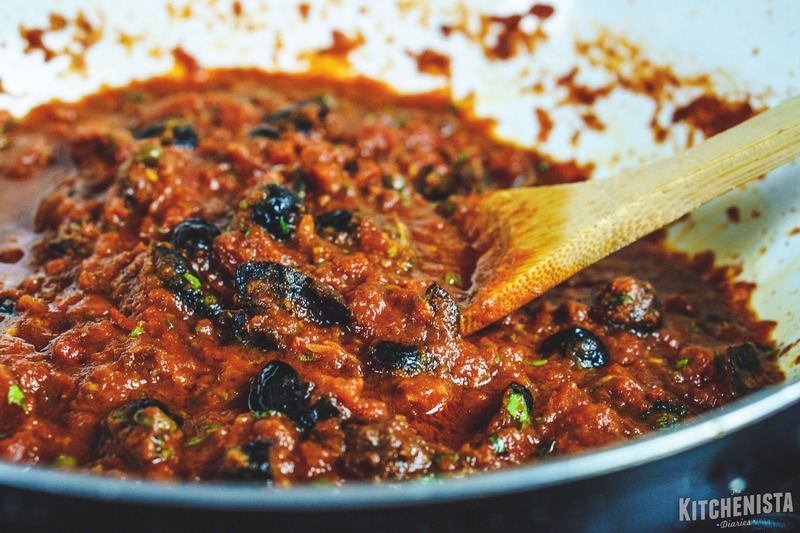 My go-to recipe for puttanesca sauce.